Get your state quarters on a wire earrings. Order your state today. 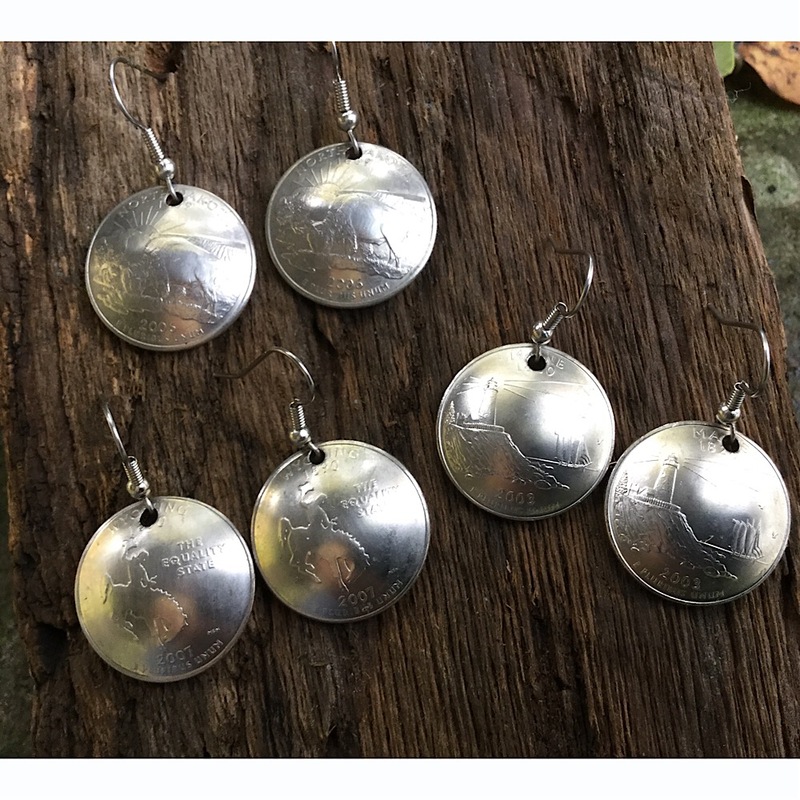 Handmade in the USA by The Fun Company Jewelry. Call with your state. 1-888-819-2006.